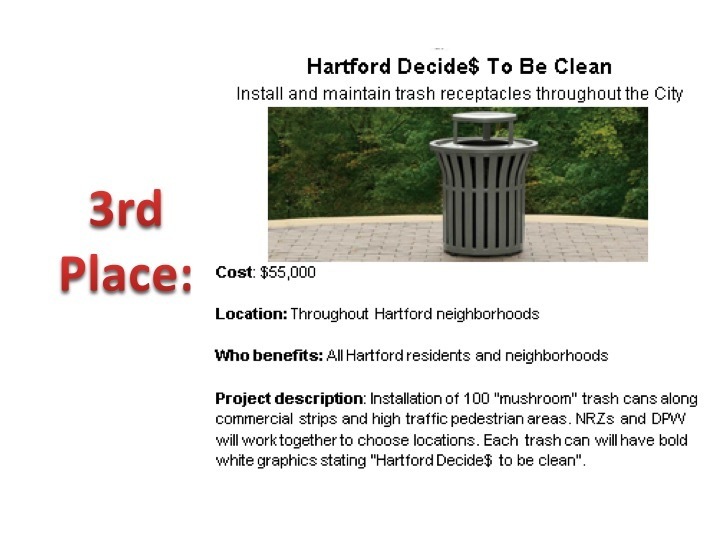 In Year Two of Hartford Decide$ (July 2016 through April 2017), Hartford residents decided how to spend $250,000 in City Capital Improvement funds, which have been allocated by the Hartford Court of Common Council. Project ideas were formed through a series of community brainstorming meetings and on-line. Volunteers participated in Action Teams, with the helpd of City Staff, to determine which ideas would be developed into project proposals. 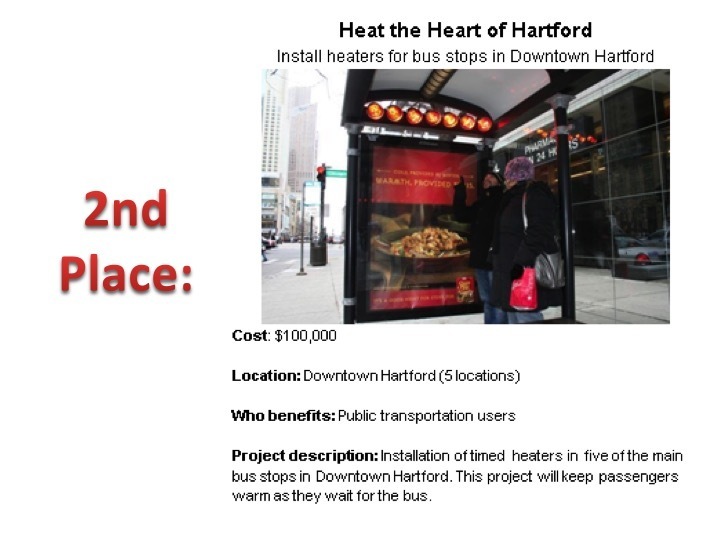 The final project proposals were placed on the ballot for voting by Hartford residents in March of 2017. 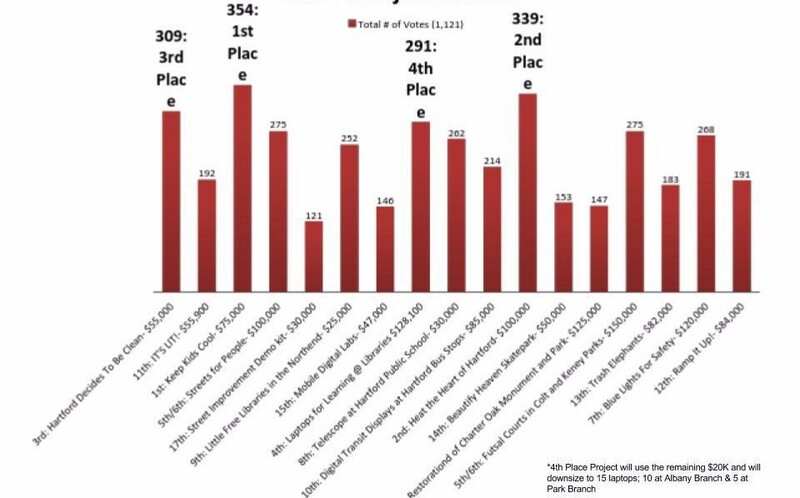 The Hartford Decide$ process involved a series of meetings, volunteer work, and decisions that feed into the City's annual budget cycle. 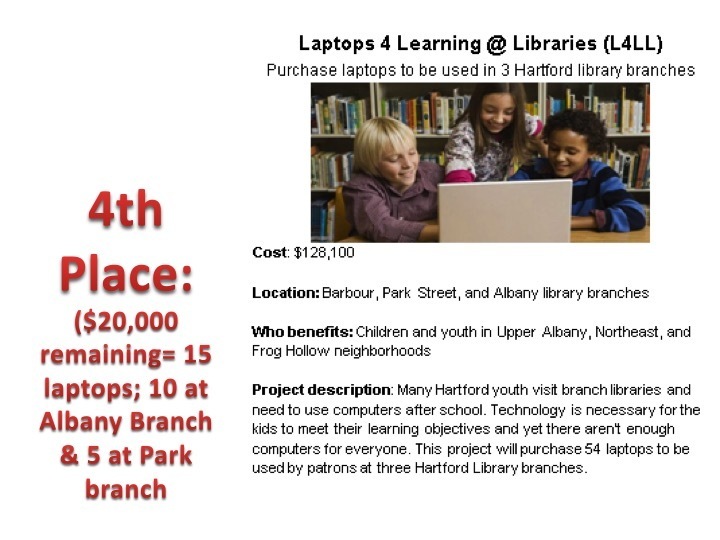 Project decisions will be submitted to Hartford City Government to be included in the Mayor's "Recommended Capital Budget for Fiscal Year 2017-18." Thank you ALL for participating this year! 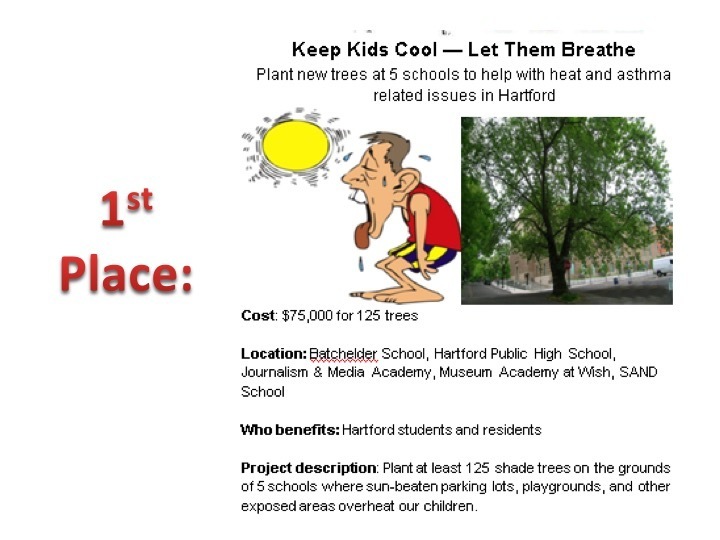 We are all winners and Hartford is a better place because of your contributions. Stay tuned for year 3!